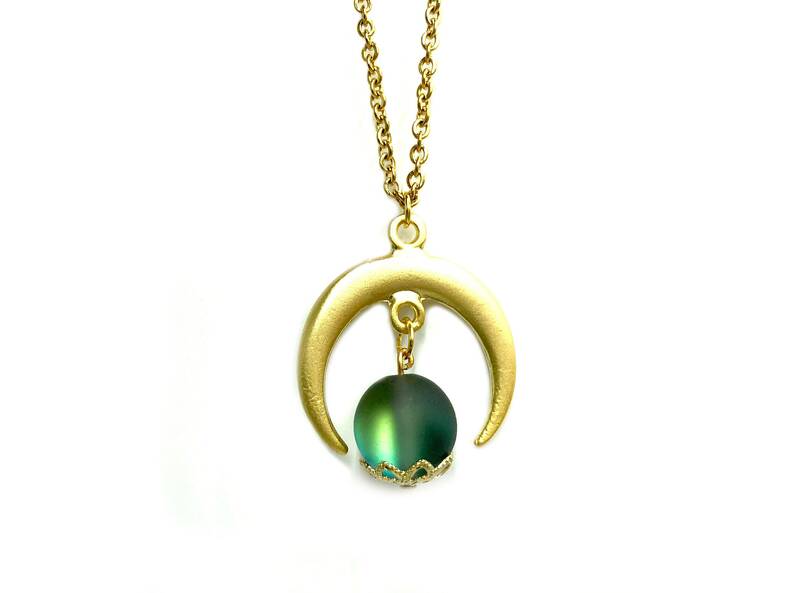 This adorable crescent moon necklace features a green aura crystal bead. Measures 14 inches with a 5 inch soldered extender chain. Different lengths available at no additional cost, request in notes at checkout. Lead and nickel free. Chain is plated stainless steel. Absolutely lovvvee it! Theres a beautiful blue green tint to it!